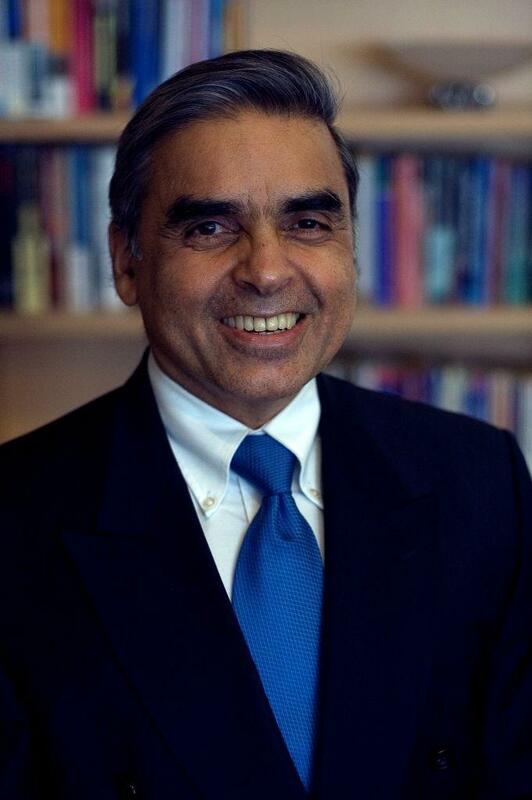 Mr. Mahbubani is a Professor of Public Policy and Dean of the Lee Kwan Yew School of Public Policy at the National University of Singapore. He is the former Permanent Secretary at the Foreign Ministry, and later served as Singapore Permanent Representative to the United Nations. In that capacity he served as the President of the UN Security Council from January 2001 to May 2002. He is the author of Can Asians Think?, Beyond the Age of Innocence: Rebuilding Trust between America and the World and The New Asian Hemisphere: the Irresistible Shift of Global Power to the East. His articles have appeared in several publications outside Singapore, including The Financial Times, The New York Times, Time, The Washington Quarterly, Foreign Affairs and Foreign Policy. He gave the Bartels World Affairs Lecture, in acceptance of the award, soon after the release of his latest book, The Great Convergence: Asia, the West, and the Logic of One World. The following is an edited transcription of his lecture. The same story can be told in two exactly opposite ways. In the world of today there are two dominant narratives about our world: the one that has dominated the global discourse for the past few hundred years, which is of course the Western narrative; and a second narrative, a non-Western narrative to balance the former. One of the paradoxes of our age is that whereas the West has always provided the most optimistic societies of the world, with the belief that they could make the world a better place, and that they would succeed in doing so, today, in a remarkable reversal of a long-term historical pattern, we have a situation where the West has become progressively more pessimistic if you want to drown in pessimism just go to Europe, where you will find that very few young people believe that the future will be great. In contrast, the rest of the world is becoming more optimistic, and this is the reason I write this book, The Great Convergence, and that is what I am going to speak about today, because quite remarkably, while the 12% of the world who lives in the West are, as you know, becoming more and more worried about the future, the 88% who live outside the West are becoming progressively more. So what I propose to do, in order to explain the thesis of the book, is to split this lecture into three parts. Firstly, I am going to share with you some good news, I may actually drown you in good news, to make you understand why there is so much optimism in the rest of the world. Then I will share with you some key challenges, because as you know, the world is not a perfect place. And I will end with a couple of incredibly easy prescriptions, what the Americans would call "low-hanging fruit", which I think it is a shame we are not picking. "The world has never been better than it is today." The best way to put it is that the world has never been better than it is today. Let me give you two or three concrete examples. As you know, since the dawn of history, one of the main things that society has been concerned about are issues of war and peace, and throughout history, wars have killed millions of people, destroyed societies we always thought it was a permanent feature of the human condition. But today, and it is amazing that it is going unnoticed, wars are becoming a sunset industry all over the world. The danger of a major interstate war is the lowest it has ever been. In fact there are very few places where you fear that war is going to break out in a major fashion. So, as a result of that, the number of people who are dying in conflict are the lowest it has been since statistics have been kept. In my book, I quote two major sources, one of whom is a Harvard professor, named Steven Pinker, who wrote a book recently called, The Better Angels of Our Nature, and he provides some remarkable data. What is significant is that he doesn't just say that less people are dying as a result of less conflicts, he's also saying there is less violence in human society today. And that is a remarkable shift and improvement in the human condition. As recently as the 1950s, half a million people would die in some conflict or other every year, today, barely 30,000 die in any kind of conflict in a year, even though the population has grown dramatically since the 1950s. So that's one very sharp drop that has happened. And if you travel the world, you'll see that, with the exception of course of the Middle East and places like that, by and large, people are experiencing greater peace, and the best example of this is in Southeast Asia. When I grew up, Southeast Asia was meant to be the Balkans of Asia and we experienced all kinds of conflicts, communist parties, general insurgencies, war in Indo-China, and now Southeast Asia is finally at peace. Now, while many of these MDGs will not be met, because they were relatively ambitious goals, the halving of global poverty will not only be met, it will in fact be exceeded. Another example: we have always been worried about global poverty, about the people at the bottom, the people that are starving et cetera, and here too something remarkable is happening. In 2000, when I was ambassador to the UN, we established something called the Millennium Development Goals, the MDGs. Several were set up, but one of the most important was that we should strive to halve global poverty by the year 2015, two years from now. Now, while many of these MDGs will not be met, because they were relatively ambitious goals, the halving of global poverty will not only be met, it will in fact be exceeded. A lot of this success, as you can imagine, is down to China and India – China alone has lifted 600 million people out of absolute poverty as a result of its rapid growth. When I arrived in New York a couple of weeks ago, I was watching an interview with Bill Gates, and he was asked how he saw the future. And he said ‘Oh, I'm very optimistic'. When asked why, he said, ‘As recently as 20 years ago, 20 million babies would die before they reached the age of five. 10 years ago it went down to twelve million. Now it is down to 5 million'. Now why is this statistic important? This statistic is important because babies are the most vulnerable citizens of any society. So when babies die, the ecosystem that is supposed to protect them is not working. But when babies begin to survive, it shows that the ecosystem has been created to protect these babies, whether it's hygiene, education, health care, whatever it is, it's improving, and fewer babies are dying. So this shows that we are reducing global poverty. Now I don't want to give you too many statistics, but if you want one that drives home the idea of the great convergence, remember this one statistic. Today in Asia, about 500 million people out of the total population enjoy a middle class standard of living – not a small number. But in 2020, in only 7 years time, that number is going to increase from 500 million to 1.75 billion. This is a remarkable uplifting of the human condition, and all part of the great convergence. Of course, the big question is to figure out why this is happening. And I honestly confess that there are so many factors that are driving this great convergence that it's hard to say which ones are the most critical. But one factor that I emphasize in my books and writings is that the reason for this great convergence is that overall, in all parts of the world, people are coming to a common understanding of what it takes to build a good society. There's a common set of aspirations developing all over the world. That's also why wars are diminishing, because most countries now realize that if the simplest thing you can do is go to war, that's not normal. Today the zeitgeist is different than prior to World War I, when Norman Angel made the assertion that war is impossible. Back then the brightest young minds from Oxford and Cambridge would say "give me a gun, I want to go fight a merry little war in England," because everyone thought that was the honorable thing to do. To fight. Today you have to be remarkably stupid to do that. Now, as promised, I am going to quickly turn to show you that I don't have my head in the clouds and that I understand what's going on in the world. As someone who has been in diplomacy for 33 years I am acutely aware of the challenges and problems in the world, so let me discuss some of the key ones the world faces. Let me just mention three: the most important challenge, especially in geopolitical terms, is always the one between the world's greatest power and the world's greatest emerging power. The world's greatest power is the United States of America; the world's greatest emerging power is China. Throughout history, with the exception of the British ceding power to the US, the transition of power has been problematic. Today, the Anglo-Saxons have to hand power to a non-Western state for the first time in 700 years, so we should see rising tensions between the US and China. If that happened it would be normal. Which is why it is so puzzling to see the opposite happening. If you look at the US-China relationship there are difficulties and conflicts, but the overall level of tension is going down between the two. You could argue that this is accidental, but I believe that it reflects conscious decisions made by various policymakers. I think that on the Chinese side they have worked out a rather sophisticated long-term policy of how to emerge as a great power, which is discussed in my previous book, The New Asian Hemisphere, and they have decided that the best way to keep the US-China relationship healthy is to create a very deep interdependence between the two. China relies on the US to provide markets for factory produce, and that's why China has a major trade surplus with the US, but at the same time they have created a dependence, as the US relies on China to buy US treasury bills. This deep interconnectedness, which did not exist in the Cold War for instance, where the Soviets refused to buy US treasury bonds, will hopefully mean that the tensions between the US and China will be managed and not get out of hand in the world of tomorrow. Time is no longer on Israel's side. I say this as a friend of Israel make peace now. Don't wait until things go badly for you. Another big challenge, and one that I worry about more to some extent, is the tension between Islam and the West. As you know, this conflict has very deep roots, going back to the Crusades a thousand years ago, and it has never been resolved, so it is no great surprise that the majority of the conflicts which you see today happen either in or around the Islamic world. You see it happening in Syria, in Egypt, in Tunisia and so on and so forth. There are some tensions in that area, but if you look at it objectively, you will see that many in the Islamic world are experiencing the great convergence that I've been speaking about. For instance, Indonesia is the world's most populous Islam country. It has a population of 240 million – larger than all of North Africa combined. So while everybody is focused on the difficulties in North Africa, they forget the world's most populous Muslim country is growing steadily at 6-7% per year. In the next ten to fifteen years it will be one of the worlds top ten economies, and no one has noticed it. And Bangladesh, a country Henry Kissinger dismissed as a basket case, ‘a country that will never succeed', has been growing at 6% over the last 10 years. So there are parts of the Islamic world that are also experiencing the great convergence. However, there are certain bits of it, especially in the Middle East and North Africa, which are having problems. 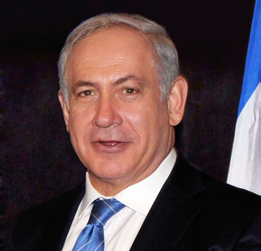 And one point, which I want to make very delicately, is that if you really want to remove the poison, and I think it's a fact that there is some poison between the West and Islam, the best way to do it is to have, as quickly as possible, a two-state solution between Israel and Palestine. Believe me, if you could do that it would make a huge difference in terms of actually changing the relationship between Islam and the West. About a year ago I wrote a column in the Financial Times, where I said, as a friend to Israel, ‘Please, now is the time for you to make peace with Palestine and have a two state solution because time is no longer on Israel's side'. Because if you look at it, over the next ten or twenty years, even though US power will remain exactly the same, US relative power will decline and the power of the Islamic world, I promise you, will rise over the next couple of decades. Time is no longer on Israel's side. I say this as a friend of Israel make peace now. Don't wait until things go badly for you. Now let me mention a challenge that is not geopolitical, but is the number one thing that worries many of you: what is going to happen to the global environment? We're all talking about the middle clatss, it's wonderful that the middle class is exploding, it'll hit more than half the world's population, they'll be going out there, they'll be buying refrigerators, cars, consuming more energy, what's going to happen to our planet? What we need to find is a formula that allocates sacrifice equitably across the world. There is no solution to global warming unless we all make some kind of sacrifice or another. I will give you a concrete example. As you know, China and India have been put under a lot of pressure to reduce their greenhouse gas emissions, and therefore reduce their coal-fired plants etc. 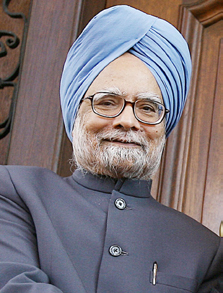 And when someone asked the Prime Minister of India, Manmohan Singh, what he was going to do about this he said, and I think this was a very reasonable response, ‘I am not going to deny 400 million Indians electricity just so Americans can keep on driving their SUVs'. So this is where the global warming thing comes about; we have to find an equitable solution to this problem. And I, at the end of the day, am reasonably optimistic that this can be achieved. The reason for my optimism relates to the third part of my presentation, on how we can make the world a better place. I referred earlier to the low hanging fruit that is out there. As you know, we live in an increasingly global village, which is becoming smaller and smaller. And every village, as you know, needs a village council. So, if we are becoming a global village, we should be strengthening village councils rather than weakening them. One of the things I do in the book is to give away a "dirty little secret". What is this secret? It is that it has been the consistent policy of the Western world, led by the USA, to keep global village councils weak. That is why the UN is kept weak; why UN specialized agencies are kept weak, and why they are not functioning. Now, this may have made sense when the West was completely dominant, and would have had no need for village counsels. But today the world is changing so quickly that the West has to rethink what its policy should be. I open the book with a quote from a speech Bill Clinton gave in 2003. He said that if America assumes it will be number 1 forever, then fine. We can carry on doing whatever we are doing. But if we can conceive of the possibility that we may no longer be number 1 but maybe number 2, surely it is in America's interest to strengthen the world space order that will constrain whoever is the next number 1. Now, this was a remarkably wise thing for Bill Clinton to say in 2003 – the tragedy is that he could not say it when he was president. However, he was told during his tenure that if he raised this point it would be political suicide – Americans don't want to hear about America being number 2. And this is a real tragedy because frankly, now is the time for the United States and the other Western countries to realize that it is in their long-term, rational self-interest to strengthen multilateral institutions. So I'm not appealing to idealism. I'm not appealing to altruism. I'm appealing to pure, naked self-interest. It is in the naked self-interest of the West to change their policy with regards to the world's multilateral institutions. And what puzzles me, and I haven't solved this puzzle yet, is how is it that the West, which always prided itself on having the most rational, the most scientific, most logical approaches to solving problems, is now doing the exact opposite when it comes to its long-term self interest. It is carrying on on autopilot, continuing to weaken these multilateral institutions, even though it is no longer in its interest to do so. It has been the consistent policy of the Western world, led by the USA, to keep global village councils weak. If you try to create a new global architecture from scratch, it is impossible. But if you take the existing global architecture and strengthen it, then you can do wonders. And there are some remarkably irrational Western policies with regards to multilateral institutions. To give you one example, it's been a Western policy, one way they keep multilateral institutions in the background, is to have what they call a zero-budget growth policy. So even though the world economy has become bigger and bigger, even though multilateral institutions are handling the problems of a larger population, their budgets are actually shrinking and that's because of Western demands. And this, as a result, is weakening institutions that the West should not be weakening today. I'm going to give you two more dramatic examples. The first, and most obvious, example is that when you live in a global village, when a pandemic breaks out it's not going to stop at any border. Pandemics don't carry passports. So if you live in a small global village it's in your interest to strengthen your global health agency – the World Health Organization (WHO). 20 years ago, 75% of the WHO's budget came from regular, assessed contributions, which the organization could rely on, and therefore make long-term plans. Only 25% came from voluntary contributions, which, as you can imagine, vary year by year. In order to develop a long-term network of health inspectors, you have to rely on regular contributions rather than voluntary ones. 20 years later, 25% of the WHO's budget comes from assessed contributions, and 75% comes from voluntary contributions. That is insanity on a global scale. You don't develop a world health organization if you're going to make it rely on voluntary contributions. We are weakening a global agency just when we need it. I'm not appealing to idealism. I'm not appealing to altruism. I'm appealing to pure, naked self-interest. It is in the naked self-interest of the West to change their policy with regards to the world's multilateral institutions. The second example; in the West we are afraid of nuclear proliferation. If you are afraid of nuclear proliferation, what you need are more nuclear inspectors, and in order to get more nuclear inspectors you need to give more money to the International Atomic Energy Agency, the IAEA. However, again we find that the opposite is true. I discovered this firsthand a few years ago when I was a member of a commission to discuss the future of IAEA, and it was absolutely shocking to see how even the IAEA is being strangled by this irrational Western policy of depriving them of more regular SS contributions. These are examples of low hanging fruit. These policies can be changed overnight, instantly, and will cost very little money. To understand how little this is in the grand scheme of things, you need only look at the budget for the UN Secretariat, which takes care of 7 billion people, and has a budget that is smaller than that of the New York City Fire Department. If you have enough money to fund a fire department for a city of seven million people surely you can find something more to fund a village of seven billion people. That's an example of how absurd the scale is. The USA is estimated to have spent three trillion dollars over seven years on the Iraq war. With 1% of that, $30 billion, you can fix the UN. The USA is estimated to have spent three trillion dollars over seven years on the Iraq war. With 1% of that, $30 billion, you can fix the UN. Now of course there are other multilateral institutions that would be harder to fix. These are organizations such as the UN Security Council, the IMF, the World Bank, but in the book I also provide concrete, specific ways in which they can be resolved. The Security Council has been trying to reform itself for 20 years, but the reason why it hasn't happened is because for every great power that wants to come in there is another that says "Why not me?" The best example of this came when I was ambassador to the UN, when Germany and Japan were pushing very hard to become permanent members. The Italian ambassador stood up and said "Why are you only pushing for Germany and Japan to join the Security Council? We lost World War II as well, so why don't we qualify?" So you can see how deeply these countries feel about this. To solve this problem, what I have is a formula called the 7/7/7 formula, where you have seven permanent members, but you also have seven semi-permanent members taken from 28 states. So all the people who lose out at the moment like South Korea and Pakistan become winners because they get a semi=permanent seat when their neighbor gets a permanent seat. And I mention this because everybody seems to look at the world, see all these problems, and assume there are no solutions available. All I am saying to you is that there are solutions out there, and that despite the fact that we don't have a great global plan to make to world a better place, we are making the world a better place and we should recognize that. Further, I am confident that if we recognize these trends then we can create an even better world in the years to come.